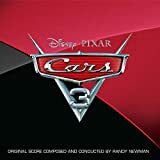 Accueil Produits Musiques Run that race – Paroles de la chanson dans “Cars 3”. 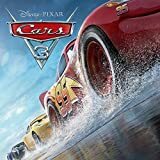 Run that race – Paroles de la chanson dans “Cars 3”. Another day another dollar gone. When I get up in the morning I just can’t go on. I feel the outstretch turns of time. But somethin’s callin’ from down deep within. Like I finally started livin’ for myself again. I saved the outstretch lands of time. Cause I wanna run that race. I wanna run that race. I do it on my pace. As long as I get to run that race. I feel discouraged and I doubt myself. But you know you can’t blame it on nobody else. Only you know where it is. We gotta run that race. As long as we get to run that race. When I lay my head on my pillow at night. I think about what still going right. Thank the stars up above. There’s still things left I know.